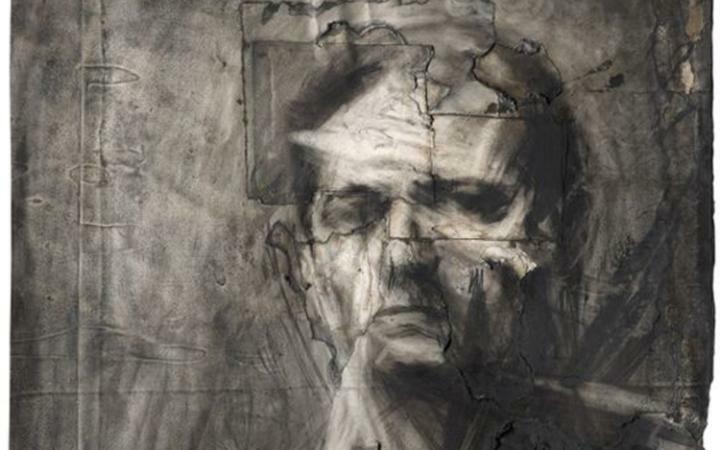 On today's edition of Artist Spotlight, we're going to take a look at the life and work of Frank Auerbach, who has had a rather extensive career. He was born in Berlin during the run-up to the Second World War, but fortunately was able to escape the persecution and find safe harbor in England, where he now resides in the Camden Town area of London. He is eminently quotable, and sums up his general artistic drive in a very simple way that nevertheless resonates quite powerfully: "It seems to me madness to wake up in the morning and do something other than paint, considering that one may not wake up the following morning." Curiously enough, despite having a long working life (he's currently 85 and still painting), he has a fascination with a remarkably small number of subjects. This is actually a hallmark of his work, where he repeatedly revisits the same subjects and portrays them in a completely different way. "If you pass something every day and it has a little character, it begins to intrigue you." In and of itself it's a fascinating idea, which gives pause and makes you wonder just how well you truly know the things you see on a daily basis. How many different ways are there to see the exact same thing? How much more can you learn about it by giving it the chance to reveal itself in a new way? And if you can give such consideration to an inanimate object, how much more complex must people appear in such a light? He winds up with a rather unusual practice as a result. He may spend the whole day painting, only to wind up scraping the image off in dissatisfaction, feeling that he hasn't accurately captured the subject in the way that he wants. This appears to go double for people, as some of his dearest subjects are his wife and friends, who are doubtless long-suffering and kind to sit for so many iterations of their own image. The Manchester Guardian newspaper remarked in 1956, "The technique is so fantastically obtrusive that it is some time before one penetrates to the intentions that should justify this grotesque method." But it's hard to deny the efficacy of the approach, as his resulting works are both haunting and captivating.